Despite much interest in positional (deformational) plagiocephaly, the natural history is unclear. The purpose of this study was to determine cosmetic and developmental outcomes at a minimum of 5 years of age in children diagnosed in infancy with positional plagiocephaly (PP) and the impact of cranial orthotic use. A questionnaire survey was sent to parents of children diagnosed with PP in infancy and now aged more than 5 years. A retrospective review of the child’s clinic chart was performed of consenting families, and prospective follow-up was done when families agreed to return for assessment. Of 278 eligible children with plagiocephaly, questionnaires were completed by 65 parents, and 27 brought their child for assessment. Participants and nonparticipants were similar. Cranial orthoses were used in 18 of 65 children. Parents perceived the cosmetic appearance of their child as “very abnormal” in 2, “mildly abnormal” in 25, and “normal” in 38. Residual asymmetry was noted by parents in 58%, but only 21% were concerned about appearance. In the last year, 7.7% of children commented about asymmetry of head, and 4.6% were teased occasionally. Thirty-three percent had received learning assistance, and 14% were in a special class. Long-term outcomes, as perceived by the parent or child, were no different between children with and without orthosis use. The results allow better counselling of parents about outcome of infants with PP, reducing anxiety, and allowing more rational selection of management modality. According to our records, your child (name of Child) was assessed for positional plagiocephaly many years ago at the Neurosurgery Clinic at BC Children’s Hospital. One of the questions that many parents asked was what to expect with the head asymmetry in the future. Up to now, we have no answer to the question, and we are now doing a study to try and answer this question. The study will look at what has happened to children with positional plagiocephaly as infants after many years, when the child has reached school age. I hope that you will help to answer this important question by participating in the study. If you agree to participate, I would ask that you complete the attached questionnaire, which should take about 5 minutes to complete. I would also ask that you sign the attached consent form, which indicates your agreement to participate in this study. After completion, please mail the questionnaire and signed consent form back in the self addressed stamped envelope. If you have indicated your agreement on the questionnaire form, my assistant or I may contact you by telephone to clarify any answers. If you have indicated on the questionnaire form your willingness to return to BC Children’s Hospital for a special assessment of your child, my assistant will contact you to set up an appropriate appointment. At the visit to the hospital clinic, an independent observer will look at your child’s head and chart whether or not the head shape looks normal, mildly asymmetric or significantly asymmetric. Dr Steinbok or his assistant will measure the extent of asymmetry using special calipers. The assessment should take about 10 minutes. If you do bring your child to BCCH for assessment as part of this study, we may be able to provide financial assistance of $75.00 for patients coming from Vancouver and the Lower Mainland, and up to $300.00 for those coming from outside of the Lower Mainland. This will depend on whether or not we have been successful in obtaining funding for this study. If you do not wish to complete this questionnaire or participate in this study, please circle NO here and return the uncompleted questionnaire in the stamped envelope, so that you do not receive a second mailing. If you wish to participate, please answer the following questions and then return questionnaire in stamped envelope. Qn1. In the last year have you had any concern about the shape of your child’s head? Qn3. 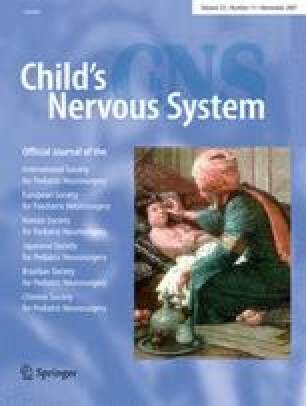 Irrespective of how you answered the last question, do you think that there is any residual asymmetry at the back of your child’s head, for example if you feel the back of the head? Qn4. In the last year, has your child commented to you about being teased at school because of the asymmetric appearance of his/her head? Qn5. In the past year, has your child commented to you about an asymmetric appearance of his/her head? Qn6. In the past year, has any one commented to you about an asymmetric appearance of your child’s head? Qn7. What grade is your child in at school? Qn8. Is this the normal grade level for his age? Qn9. Is your child in a special class? Qn10. Has your child received learning assistance at school? Qn11. Did your child receive treatment with a helmet or headband? Qn12. If yes to helmeting or headbanding, do you think that the helmeting/headbanding improved your child’s head shape? Qn12. Are you agreeable to having Dr Steinbok or his assistant telephone you if any additional information or clarification is required? Qn13. Would you be prepared to bring your child to a clinic at BCCH to have your child’s head observed and measured with calipers?